This is Wayback Wednesday, your midweek blast from the past! 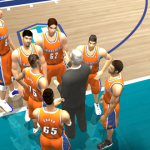 In this feature, we dig into the archives, look back at the history of basketball gaming, and indulge in some nostalgia. Check in every Wednesday for retrospectives and other features on older versions of NBA Live, NBA 2K, and old school basketball video games in general. You’ll also find old NLSC editorials re-published with added commentary, and other flashback content. 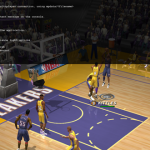 This week, I’m taking a look back at the dev console that was featured in NBA Live 2003. 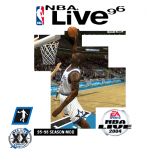 During what I’m unofficially dubbing the Golden Age of NBA Live, the PC release was often the definitive version of the game. If nothing else, there was so much that our modding community could do with it. Even when certain games fell short of our expectations, we’d do all we could to enhance them with mods. In the process, we discovered a lot of hidden content and features. 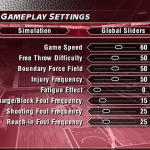 One interesting feature that we found but didn’t really utilise all that often was the dev console in NBA Live 2003. Our modding community has already produced a few great 2018 season updates for NBA Live 2004 this year, and today we have another new release for one of the best games in the NBA Live series. Download a new current season shoe pack at the link below! We have a new release from the community for NBA Live 2004 PC today. Following on from Murat’s 2018 season updates, xshane has released a portrait pack for the current year. Check it out at the link below! While you’re waiting for this week’s Wayback Wednesday, we have a new file addition for another old favourite. Murat has been doing some excellent work with NBA Live 2004, and recently released a pack that includes updated 2018 season rosters, complete with player faces. 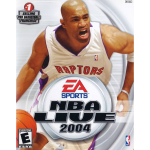 Check it out at the link below, and be sure to browse the NBA Live 2004 section of our Downloads database for more 2018 season updates! A big thanks to Murat and pksts for the new logos, faces, jerseys, and courts that can be found in v3.0! 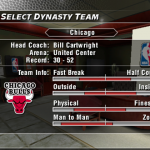 Thanks to their contributions, this release is the most complete version of the 1996 Season Mod for NBA Live 2004 so far. I may make some further adjustments here and there at some point, but the mod is now more or less how I envisioned it all those years ago. Download the 1996 Season Mod here! 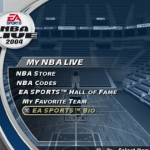 You can also find the support topic for all of my NBA Live 2004 releases here in the Forum. If any bugs are discovered with v3.0, I’ll try to get a hotfix out as soon as I possibly can. If I do get around to doing anything else with the mod as far as further additions or enhancements, I’ll include them in a potential v4.0 release. For now, I hope you enjoy a new release for an old favourite! A comprehensive 2018 season update for NBA Live 2004 is shaping up, thanks to the efforts of Murat and Roseblade13. Check out their latest releases at the links below! We still have a few people working on some excellent updates for NBA Live 2004 PC, as you may have seen in the Forum. The latest release is from Murat, and it’s a new version of his 2018 season jersey update pack, which now includes City and Classic uniforms. Check it out at the link below! Today, we have a couple of great new releases for a classic: NBA Live 2004 PC. The latest file additions include a 2018 season court update for the Golden State Warriors, and a pack of Association, Icon, and Statement jerseys for all 30 teams. Check them out at the links below! We have a new release for NBA Live 2004 PC today, as Roseblade13 has uploaded a 2018 season roster. It’s currently a beta release that uses default art files, but is intended to be the base for a full update project. If you feel like dusting off a classic, check it out at the link below!